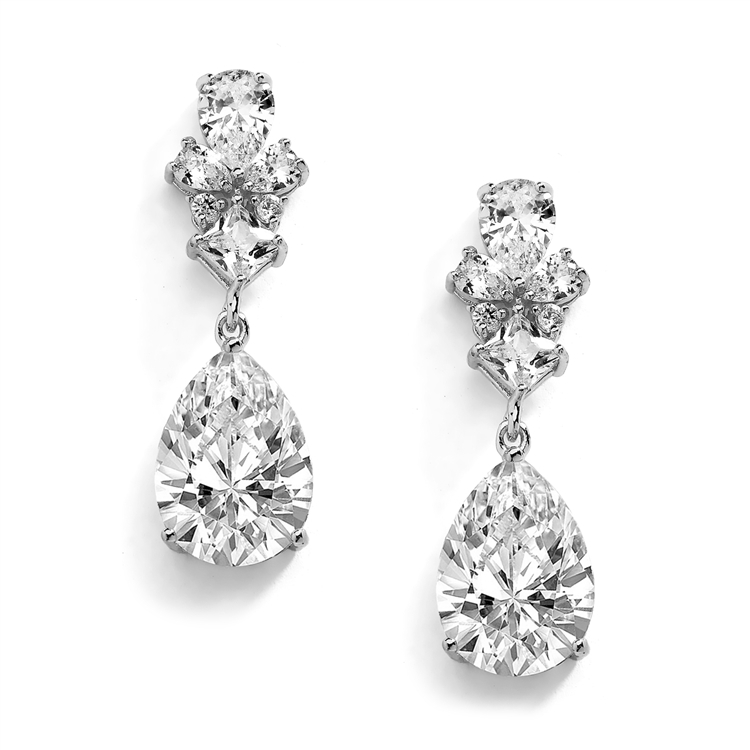 Our exquisite teardrop Cubic Zirconia earrings with multi-shape CZ tops are the perfect size for bridal, special occasion or dressy evening wear. These genuine silver platinum plated statement earrings will add some serious sparkle to your wedding day or evening on the town. These gleaming dangles flaunt faceted pear-shaped CZ drops, each with glistening tops featuring round, pear-shape and princess-cut gemstones. Our gorgeous 1 1/4" h earrings are a stunning bridal accessory and make a splendid gift for bridesmaids, mothers of the bride, wedding guests or special occasions. We promise you'll love these best-selling silver beauties or your money-back. Treat yourself or someone you love to the gift of sparkling glamour at a price that will have you celebrating! AAAAA quality Cubic Zirconia, Genuine Silver Platinum plated and Lifetime Guaranteed.